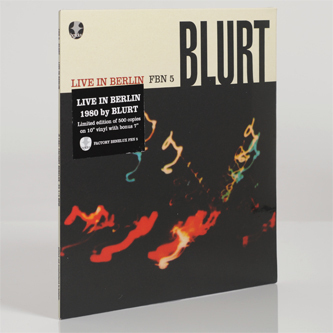 LTM present a necessary vinyl version of Blurt's 'Live In Berlin' recordings made at the Rock Against Junk concert at the Free University circa 1980. 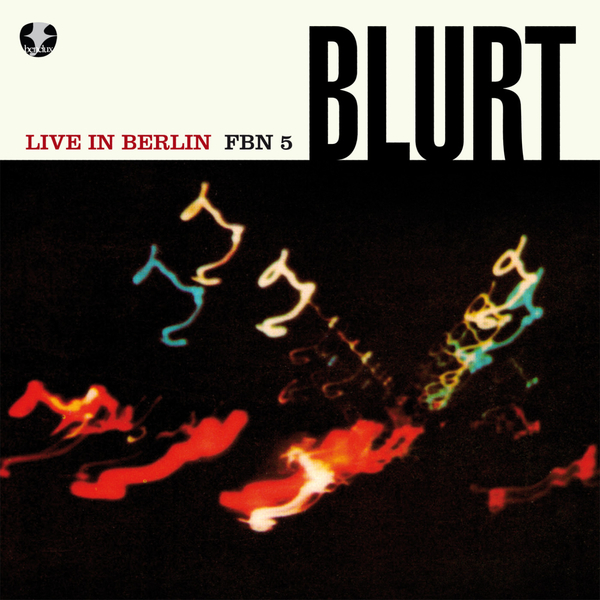 It seems a metaphorically apt location for the group's primitivist post-punk/jazz funk, a stripped down and back-to-basics formation of taut, cyclical rhythms from the Creese brothers fronted by the jagged sax and urgent vocals of central figure Ted Milton. The trio run through nine concise songs, surprisingly well recorded and with some crowd noise adding to the tense and nervy atmosphere. Generally i'll struggle with sax in most forms, but the way Milton uses it as a raw and rasping weapon of choice is wicked here, and locked to the skinny drum and bass funk, you've got a very tidy proposition for fans of early Cabaret Voltaire or DNA. Excellent stuff.